Join Amazon No. 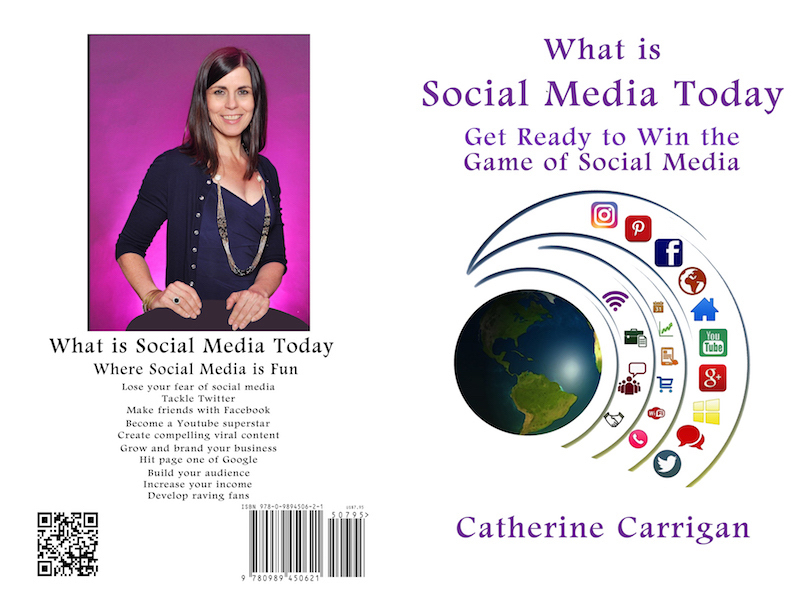 1 bestselling author Catherine Carrigan on Susan Friedman’s podcast Book Marketing Mentors to learn how to use social media to skyrocket your book success. Listen to the podcast at this link. You can download a transcript of the podcast at this link. Susan Friedmann, CSP (certified speaking professional) is a well-respected niche marketer who’s on a mission to wipe out sameness, and add vitality and differentiation to your marketing. She’s the author of 14 books including her bestseller, Riches in Niches: How to Make it BIG in a small Market. Susan’s podcast Book Marketing Mentors is a podcast for authors to teach them how to market their books effectively. Every week you’ll learn proven strategies, tools, ideas, and tips from the masters. Due to the success of my books, I started a business with Ramajon Cogan to teach social media marketing. You can join us at www.whatissocialmediatoday.com. “If I were an author starting out today, one of the first things that I would do is I would go to Goodreads.com. Goodreads.com is the largest social media website in the world for readers and authors. So this would be like if I’m selling motorcycles, well I want to have a connection at the motorcycle store where people hang out and talk about motorcycles. “People talk about books on Goodreads.com. “Now anyone can set up a GoodReads profile, so even if you’re starting your first book, go ahead and set up a GoodReads profile. Once you publish your book, you set up an author page. “Now once you’ve set up your author’s page, you want to connect with friends on GoodReads. You want to invite everybody you know through social media, all your Twitter friends, all your Facebook friends. “You want to create short videos. “One of my big pieces of advice for an author is to take your smart phone and get a Rode microphone and create a one minute book trailer. You get a little tripod or have your best friend stand and punch play and then you stand there holding your book and tell people what are the benefits of reading your book. “Put your blog on Good Reads. You want to put all your books up there and then the other thing you do once you have published your book, by all means set up a GoodReads giveaway. “What I typically do, a GoodReads giveaway, I’ll give away ten books. I restrict it to the United States just because I don’t want to do international shipping to people all over the world, but you could market your giveaway to people anywhere in the world. Then that way, more and more people are going to find out about you. “Now going back to some basic things that you want to think about, one of the things that you want to think about is you want to take your book and the wonderful content that you’ve created in your book and make it a multimedia experience. “Now those of us who are authors, of course we love to write, that’s why we’re authors. We love to read, that’s why we’re authors. But there’s plenty of people who maybe they’ll listen to an audiobook. “I highly recommend audiobooks. They’re the fasted segment of the publishing industry, but one of the things you want to think about, every book that you write, I would strongly recommend that again you create these one minute videos and you do them with your iPhone and get a Rode, R O D E, microphone that will just help improve the sound. It’s 59 dollars on Amazon. “So with your phone and a 59 dollar mic, you create a one minute book trailer telling everybody about your book and load it up onto YouTube. YouTube is the second largest search engine in the world. So set up a YouTube channel and do, again, short videos. “If you’re a nonfiction author, create these short videos and then once you’ve created these little one minute videos, I would head over to Facebook, and of course you want to have a Facebook business page. Now on my Facebook author business page, I’ve got all my books uploaded there and when you create these one minute videos, you can create a very clever advertising strategy for a dollar a day. “A dollar a day is the least amount that you can spend on Facebook ads. The thing to understand is that Facebook gives preference to video over written material. “Now one of the great things about being an author is that we can write. I blog all the time. It’s one of the number one ways that I help promote my businesses and my books, but these videos are going to be given preferential treatment on Facebook. “When you create these videos, do not think about selling. Do not sell. If you even think about selling, slap your hand or slap yourself across the face. “Social media is not about marketing. It’s not about selling. It’s about sharing great information. It’s about sharing uplifting information. It’s about sharing information that inspires awe and wonder. It’s about making people laugh. “Then when you upload it into your Facebook business page, there’s a little toggle where you can automatically have captions added. And that’s really important because a lot of people watch your Facebook video with the sound turned off or they don’t know how to turn on the sounds. So there’s a little automatic way so that you can add captions. So create your book into a multimedia experience. If you are a nonfiction author, let’s say your book has 35 chapters. Well maybe you create 35 one minute videos about the subject of the chapter and again you’ve done your keyword research. You know what people are looking for. You create these one minute awe-inspiring informational or humorous videos and put it on your Facebook page. “Even if you don’t want to spend a dollar a day on ads, create those videos because it’s more likely they get shared and in the Facebook algorithms, it’s going to be given preference over blogs. Now of course personally, I blog all the time. It’s my belief that your blog is more important than your book. Why is that? When people read your blog, they’re going to find out about you. 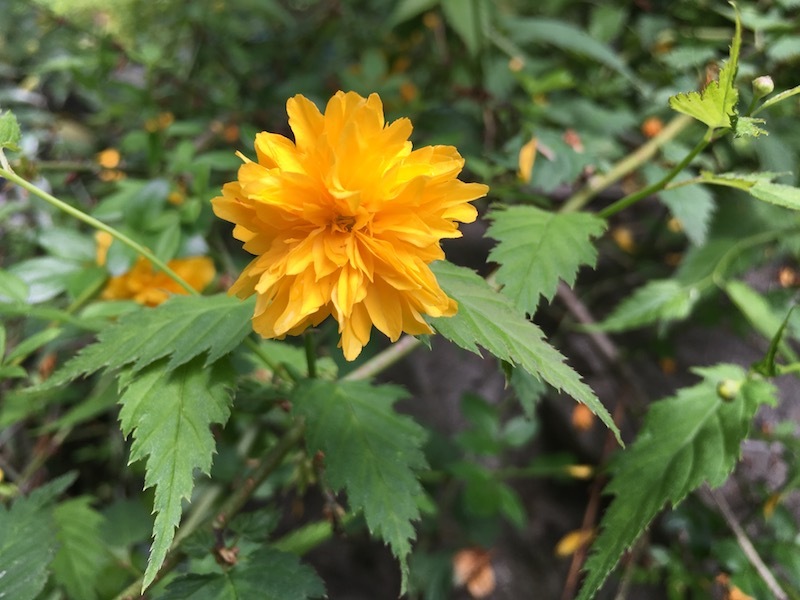 Blogging is a way to really give people a sample of your writing. So those are some real simple things that you can do to start marketing your book. “The other thing that you want to do is head over to LinkedIn and there’s something called Slideshare.net. “So create a real simple little slideshare version of your book. It could be something as simple as what my book is about, the benefits of reading this book, what you’re going to learn, the top four points that you’re going to learn from reading your book. So think about taking your book, the beautiful words that we’ve all worked so hard to put together and we’ve read them a million timesuntil we’re blue in the face and still can’t find all our typos, if you’re like me, and create a multimedia experience. “The other thing that I would do is head over to a free fabulous website called Spark.adobe.com, and on Spark.adobe.com, you can create these wonderful little graphics that you can upload to Instagram. “So if you go over to Spark.adobe.com and let’s say you take a wonderful little quote from your book. Let’s say I have a quote from my book, ‘Everybody needs to listen to their angels,’ Catherine Carrigan, or, ‘I said that,’ Bob Dylan, or what have you. “You take a brilliant quote from your book, go to Spark.adobe.com and create a killer graphic with your name on it, maybe the name of your book, maybe a link to your website, or something. Go over to Instagram. So you create this fabulous graphic on your computer on your laptop, email it to yourself, and then from your smartphone upload it to Instagram. “On Instagram, you can have up to 30 hashtags. On Instagram, you want to go hashtag crazy. You take your keywords. You figure out your hashtags. You figure out what like-minded people are doing. You create these killer graphics and then once you’re at Instagram, you’re going to have your Instagram account linked to your Facebook account, your Twitter account, your Flickr. So when you hit publish on Instagram, it also goes out to these other sites. To learn how to get discovered in social media read What Is Social Media Today? Hashtags, Keywords and You Oh My! 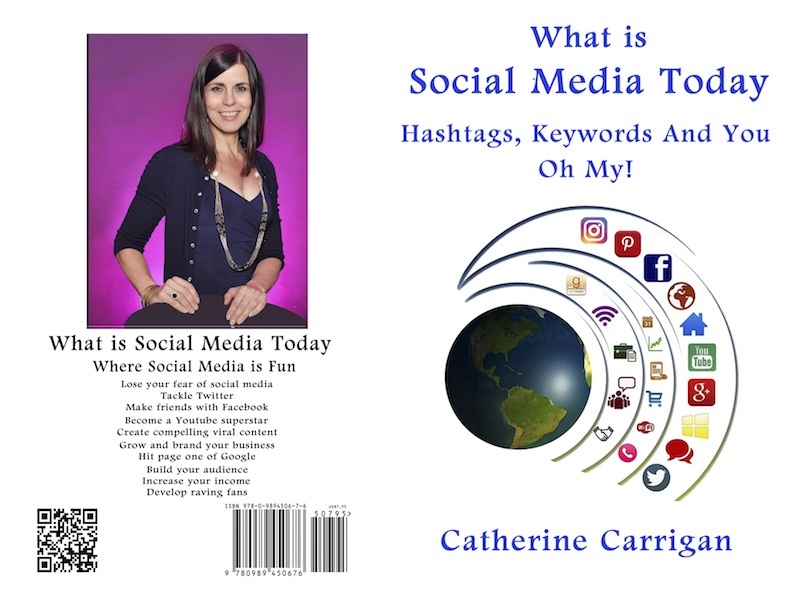 Join Catherine Carrigan and Ramajon Cogan at www.whatissocialmediatoday.com and we will show you how! Call Catherine Carrigan today at 678-612-8816 or email catherine@catherinecarrigan.com or contact Ramajon Cogan at (928) 821-4553 or email wheresramajon@gmail.com.